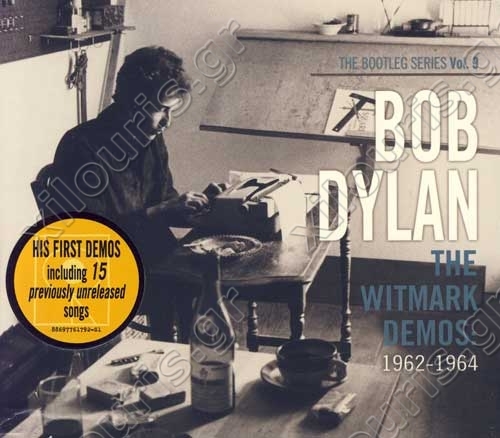 The ninth volume of Bob Dylan's ongoing Bootleg Series covers the demo recordings he made for the publishing houses Leeds Music and M. Witmark & Sons between 1962 and 1964. Heavily bootlegged and sometimes excerpted on previous entries in the Bootleg Series, these recordings feature Dylan supported by nothing more than his guitar and harmonica (or in a few instances, piano), singing songs that appeared on his earliest albums plus many songs that never did, including "Seven Curses," "Guess I'm Doing Fine," "Baby, I'm In The Mood For You," "Tomorrow Is A Long Time" and "Mama You Been On My Mind." These are significant historical recordings and they've been given typically excellent treatment, including liner notes by Colin Escott.